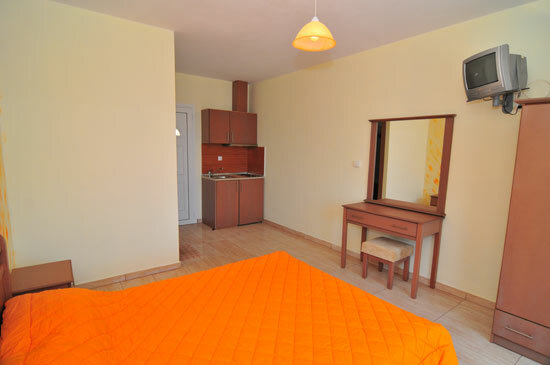 Studios Heaven offers comfortable studios that each sleep between 2 to 3 persons. 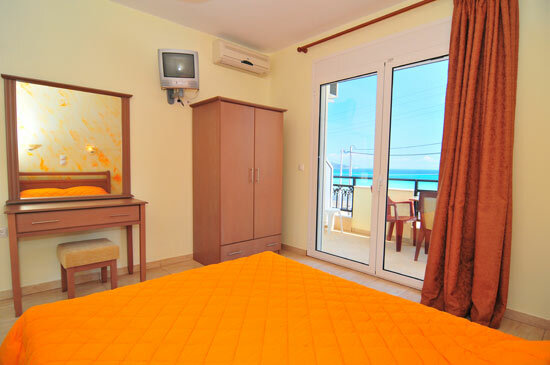 Every studio is equipped with a private bathroom, kitchenette, refrigerator, television, air-conditioning, and a private balcony. 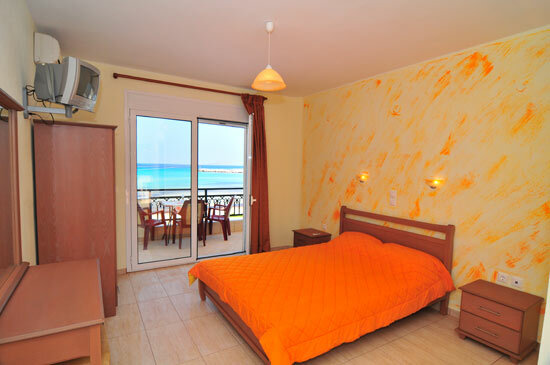 Two of the studios face the beach and have a wonderful view of the sparkling sea. 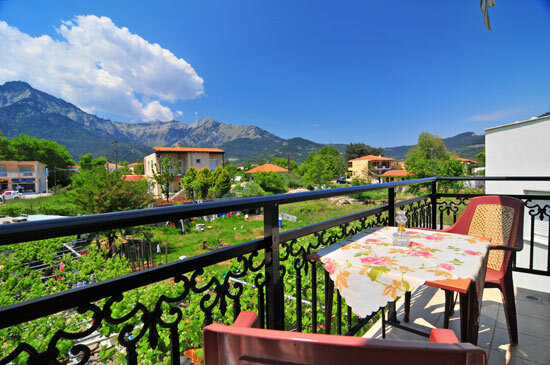 The third studio faces the beautiful mountains and forests where you can enjoy a view of the majestic Mount Ipsario, the tallest mountain peak of Thassos. 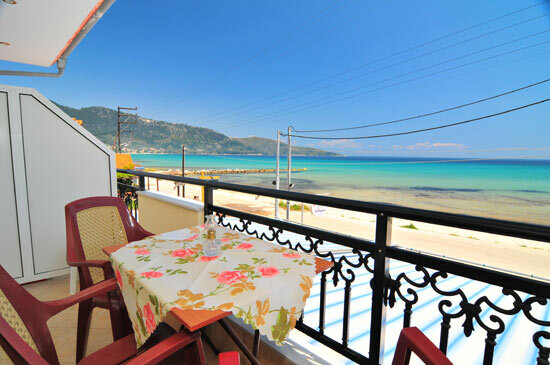 All of our studios connect to the main balcony patio where you can relax and enjoy the impressive views and the summer sun. Because we only have 3 studios, we are the perfect place for a family or a group of friends whom desire a little privacy to stay. If you book all three studios, you will have the whole place to yourself.